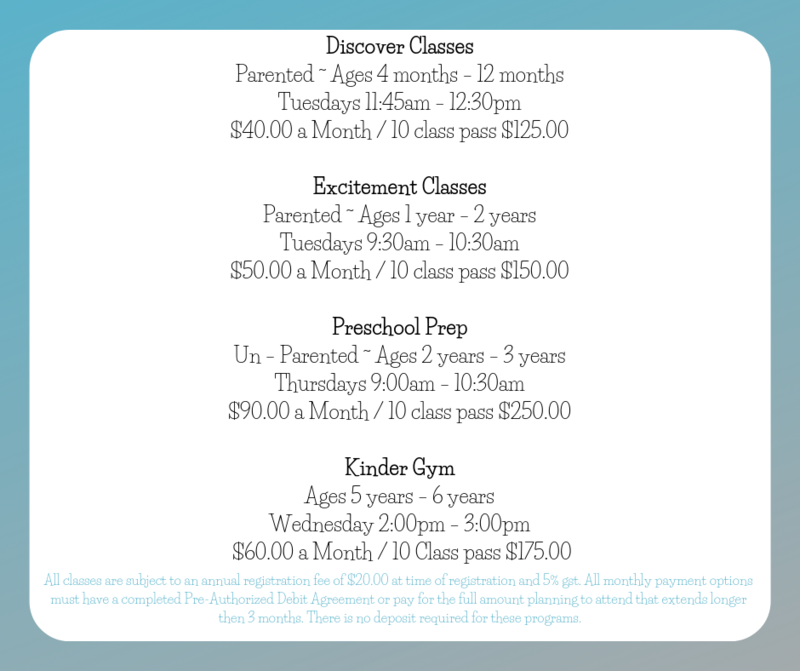 Our parented classes are offered with three different options for both age groups. One parent or guardian is required to attend with the child at all times. We work with three different themes that alternate throughout the year. Children will learn about the world around them through songs, movement, crafts, games, and new toys and supplies to learn with each week. We are very excited to start offering unparented recreational Preschool Prep classes in October 2018. Registration can be completed online or in office as spaces are limited. In this recreational class children are able to attend on their own. We help encourage the development of their social interactions, fine motor skills, imaginations, gross motor, and problem-solving skills with games, crafts, songs, movement, and themed choices in free play. Children do not need to be potty-trained to attend classes, however all materials required for changing during preschool prep classes are required to be labeled with child’s name in a bag. Children are required to bring their own nut free snack and water bottle each day.